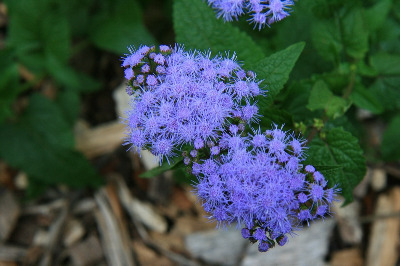 Eupatorium coelestinum of Michigan Flora. Native well south of Michigan, but rarely escaped from cultivation along roadsides. First collected in Barry Co. in 1960, and several times in Berrien Co.
MICHIGAN FLORA ONLINE. A. A. Reznicek, E. G. Voss, & B. S. Walters. February 2011. University of Michigan. Web. 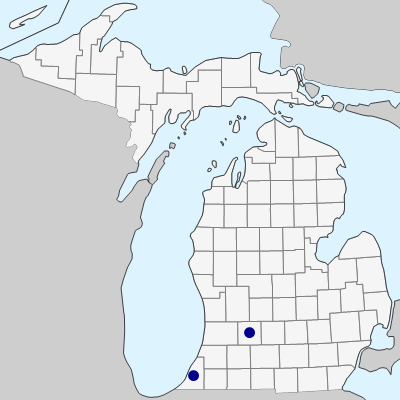 April 21, 2019. https://michiganflora.net/species.aspx?id=293.